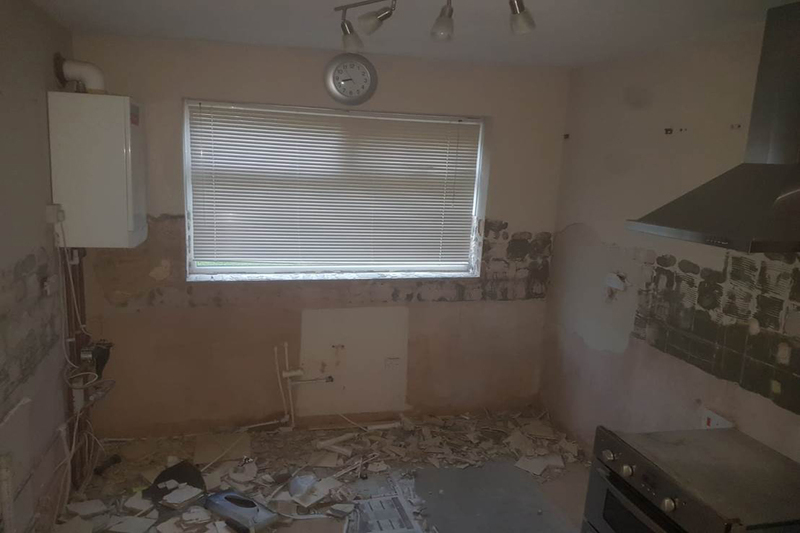 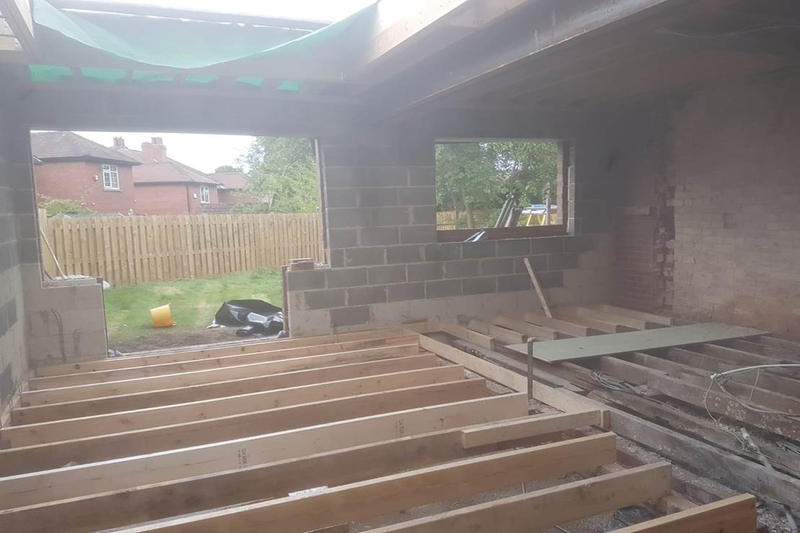 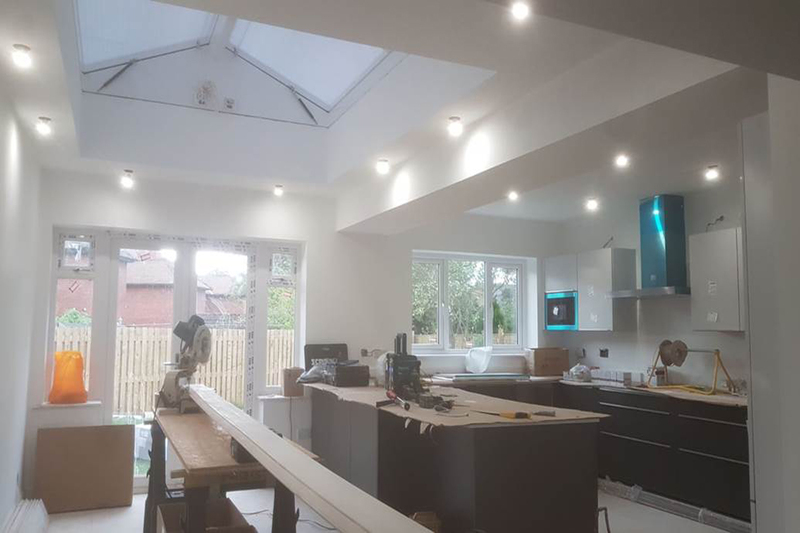 Our clients were adding a large extension to the side of the house and were able to double the size of their current kitchen which, installed by previous owners, was tired and out of date. 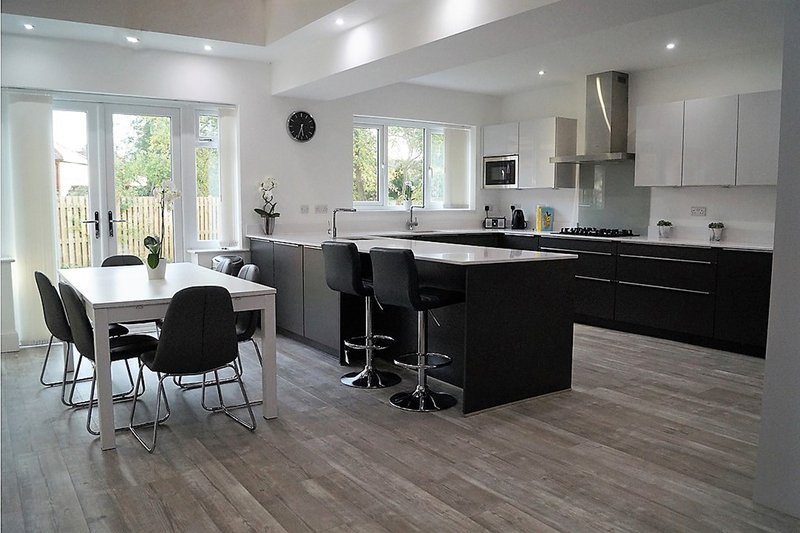 They wanted us to design a sociable open plan kitchen and dining area in grey tones, where their young family could cook, eat and socialise with friends as well as creating a space which was bright and modern. 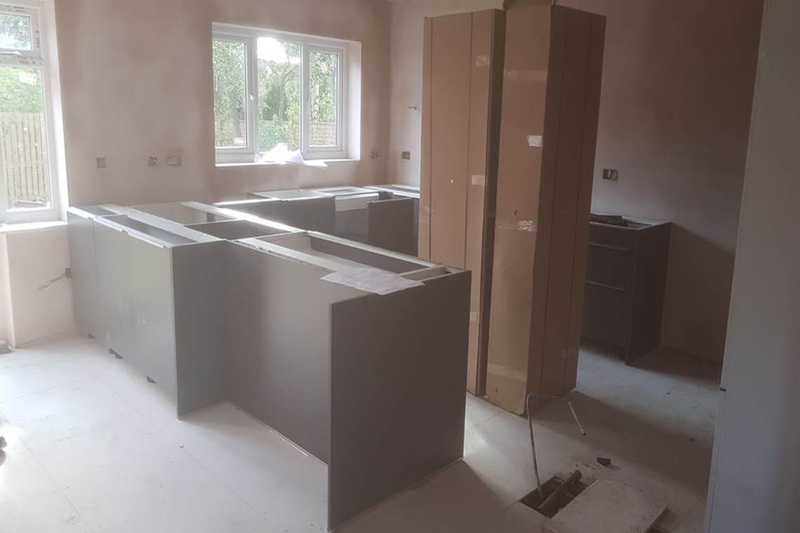 Having a kosher kitchen whilst still looking stylish was a must. 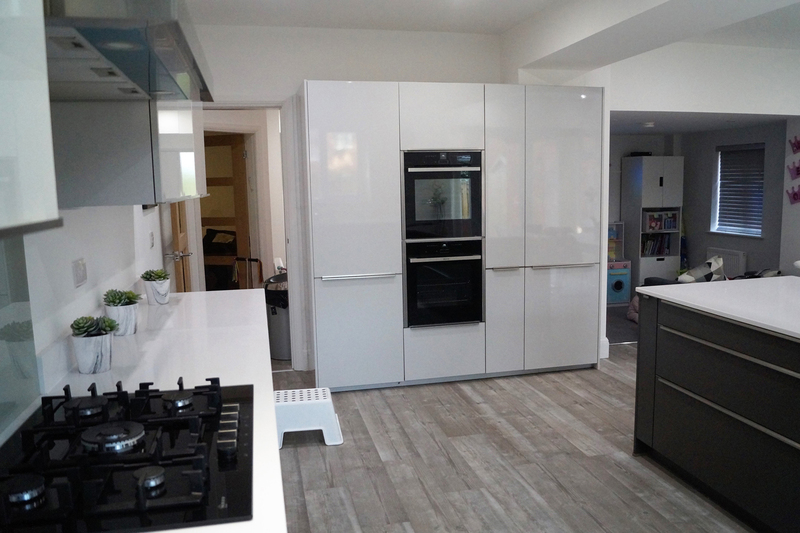 We incorporated into the design, two built in dishwashers, two separate sinks, two ovens with a ‘sabbath mode’ and a full height fridge with a Sabbath setting. 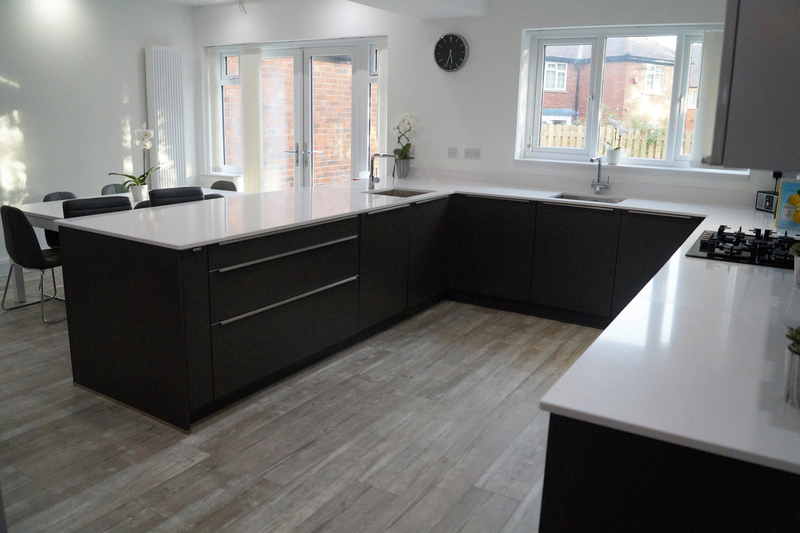 This was finished with a stunning Silestone worksurface which has a Kosher certificate and can therefore be ‘koshered’ for Passover and from meat to milk. 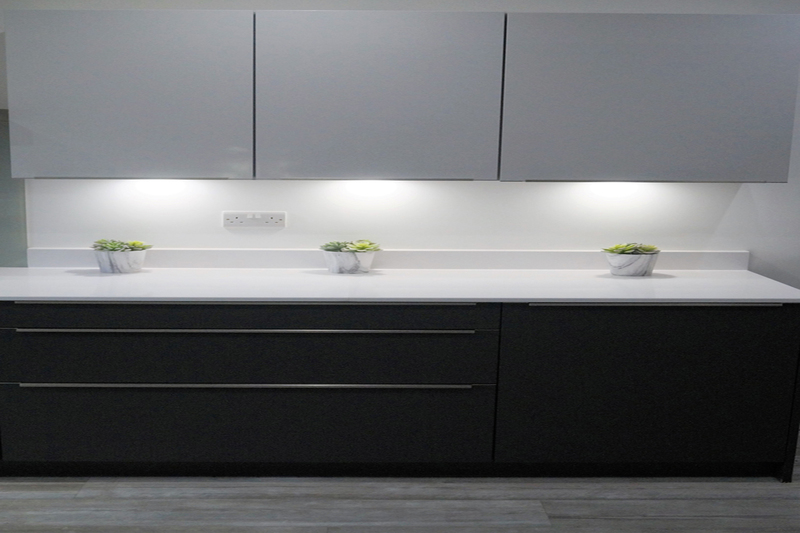 The end result not only looks beautiful, but also combines excellent storage with plenty of worktop space for food prep. 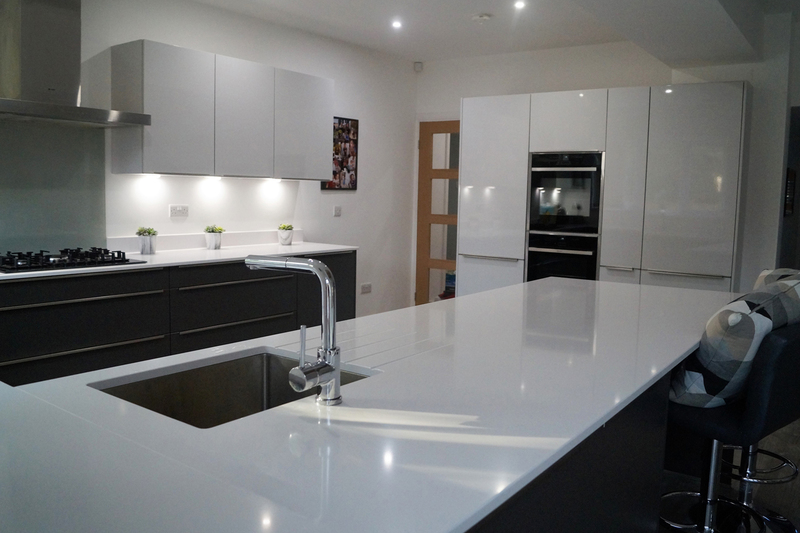 The new kitchen area has completely changed the way the family use their house and has become the hub of their home.